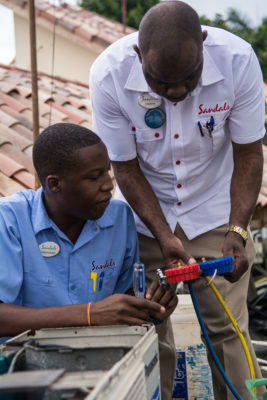 Christopher Clarke deems Sandals job “a life-changing experience"
Christopher Clarke knows exactly what he wants and at 25, the air conditioning technician at Sandals Montego Bay is being groomed for a long, steady and successful career in engineering. While attending the Herbert Morrison Technical High School, Clarke became fascinated with architecture and pursued subjects such as building construction with the hope of becoming an architect. However, the cost to pursue his dream was far-reaching. With a desire to engage in and pursue an education that was affordable, Clarke gained a certificate in electrical installation and A/C and refrigeration from HEART TRUST – NCTVET. “From the moment I discovered what the trade was all about I knew this is what I wanted to do,” says Clarke. Upon completing the six-month training at HEART Trust, one of his longtime mentors became aware of his professional interest and encouraged him to work on a construction site. For three years, Clarke worked tirelessly on the site, saving his earnings to funds his chosen career. 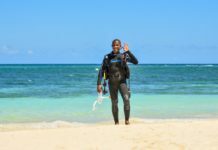 He enrolled part-time at the Montego Bay Community College and attended school while still working to pay his way through school. 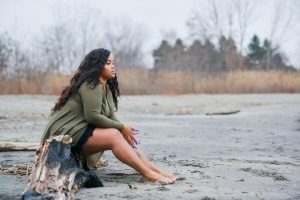 However, at the age of 20, Clarke was caught between a rock and a hard place after losing over $100,000 of his savings through a partnership he had joined. This forced him to drop out of school. He was then faced with much adversity as he tried to figure out his next move to survive and make ends meet. A determined Clarke had put all pride aside and decided to join a friend to sell clothing items on the busy streets of Montego Bay. While some of his old schoolmates were still unemployed and saddled with debt and struggling to find a job, Clarke held his head high as he remained focused and positive that one day, he would be in an even better position. 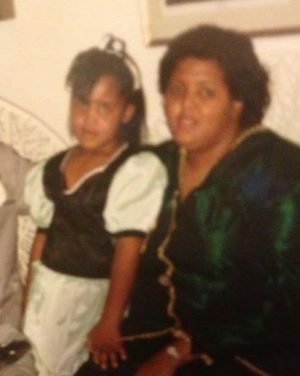 “People who knew me would see me on the streets and make negative comments. However, that did not stop me. After all, I was making an honest living and making money so much that I was able to get my own supply of clothing and go into business myself, still selling on the streets,” Clarke reminisced. 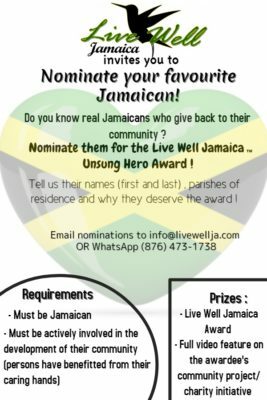 Nonetheless, he silently had a backup plan and while hustling, he sent out resumes to several hotels in the parish of St. James. Clarke did several interviews but was never successful as he was told he did not have the practical experience as an air condition and refrigeration technician. Time past and Clarke eventually gained employment at the Decameron hotel where he would understudy his then-supervisor to hone his skill as a technician. After one year at Decameron hotel, Clarke became overwhelmed with the high dependency the resort had on him as a young technician. He reluctantly resigned and decided to become a free-lance electrician. In 2014, an opportunity presented itself and one that would change Clarke’s life. Sandals Montego Bay was in search for an air conditioning technician. A friend reached out to him and informed if of an opening at Sandals Montego Bay. Clarke received a call from the resort and was put to the test to install and fix an air condition unit. The chief engineer at the resort, Carwyn Lawrence, was very impressed with the youngster and his wealth of knowledge. Clarke was hired as a contractor. 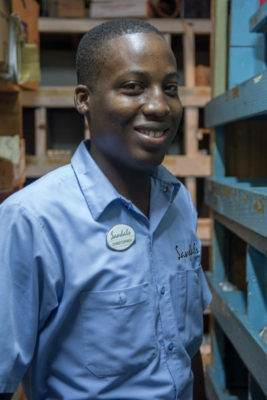 Christopher Clarke, A/C and refrigeration technician at sandals Montego Bay. Clarke has now embarked on becoming a better person. 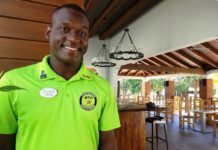 His professional growth has been ignited by the mentorship received from his manager and opportunities offered by the Sandals Corporate University. 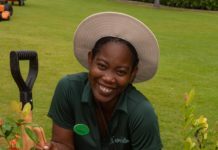 Today, Clarke has completed the Sandals Corporate University core courses in leadership, customer service and professional communication and is part of the dynamic group at the resort called the “Flagship Innovators,” to teach, inspire and empower other employees. He is also enrolled in the supervisory training programme and is an active environmental steward and safety officer at the resort. 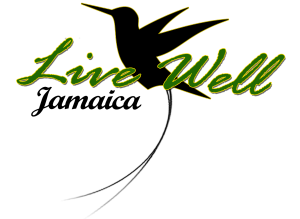 This has resulted in him gaining recognition at the resort for his commitment to environmental practices. He is also on his way on to being transferred to Beaches Turks and Caicos in the coming months. A young, enthusiastic Clarke has embarked on a career that he hopes will continue to change his life. This bright, young fellow would have demanded no less. His mantra is, “no matter the circumstances, never give up.” Clarke has now found security, happiness, and perpetual advancement as he continues to take on every opportunity that is presented to him. Body Warah… what is all this body talk about?!?! 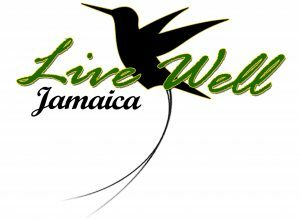 Live Well Jamaica is a repository of positive Jamaican stories.